Gibbs Farm allows visitors to step back in time to experience pioneer and Dakota life with historical programming and costumed guides. 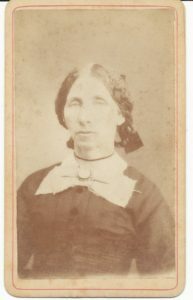 Following a tragic accident suffered by her mother, seven-year old Jane DeBow travelled west from Batavia, New York with a missionary family. Jane lived near Cloud Man’s Dakota Village at Bde Maka Ska (Lake Calhoun) from 1835-1839, where she became like family to the inhabitants. Years later, in Illinois, Jane married Heman Gibbs. In 1849, when Minnesota opened as a territory, the newlyweds purchased 160 acres on the north edge of Saint Paul. Heman built their first home, a 10′ x 12′ soddy. That autumn, Jane was reunited with her Dakota friends as they crossed the farm on a trail to their annual wild ricing camp. In 1854, Gibbs built a larger cabin. With a growing family, additions to the Gibbs farm house were made over the years. The tipi and bark lodge allow you to explore the traditional life-ways of the Dakota. You can stroll through our native prairie, medicine garden, and traditional Dakota and pioneer crop gardens. You can also visit the original white barn used for animal care, and the red barn used for programs. You and your children will be fascinated by the one-room schoolhouse, moved from western Minnesota, furnished with wooden school desks, a pump organ, and a working school bell.